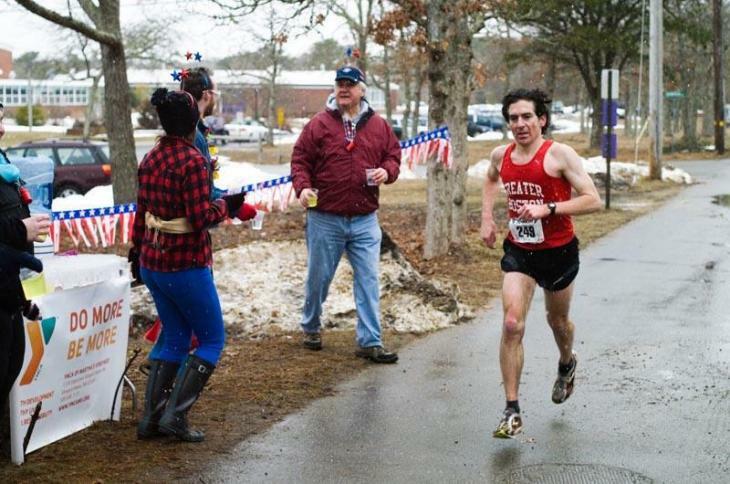 The tag line for the annual Martha’s Vineyard 20-mile race taking place on Saturday, Feb. 17 is No Weenies. Yes, 20 miles is not for the faint of heart, but even marathons at 26.2 miles don’t broadcast their toughness. Perhaps this is because marathons take place in more temperate months. The 20-miler embraces the teeth of a New England winter. Some years there is sun. Sometimes snow. Most often the wind hits like needles. Some might elect to stay at home in front of the Olympics. But that would be a shame. Whether running or watching, the race is a thing of beauty. And let’s face it we are talking to the watchers now — it’s the rare bird who wakes up on a Saturday morning and thinks, damn, I need to run 20 miles today, throwing caution and untrained legs to the wind. That said, the race is open to all from the diehard competitor to marathon preppers and those with extreme cabin fever. The course is majestic. It starts at Vineyard Haven Harbor, heads through Oak Bluffs, out along State Beach to Edgartown, tours the farmland outside of town and then rounds for home in the Manuel F. Correllus State Forest. Choose any number of vantage points to watch the runner’s progress and wonder why you are not among them. Next year will be here soon enough. The race begins at 11 a.m. See you there.